...hope your judgement is zero-defect, or else they will chant "off with his neck"! Did edit a little, just tiny mind you, ere I'd give it away in the very first clue. Man that was quick! That is absolutely correct. Yeah... I loved the midi music on dune. No, it's not a sports game. Is this some kind of secret agent type of game? More like guerilla warfare game in post-apocalyptic ice age world. Midwinter! I knew I recognized that skier! 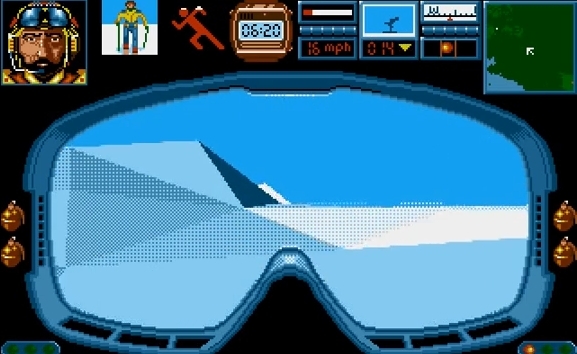 Last time I played Midwinter was on the Atari ST.
Darn... 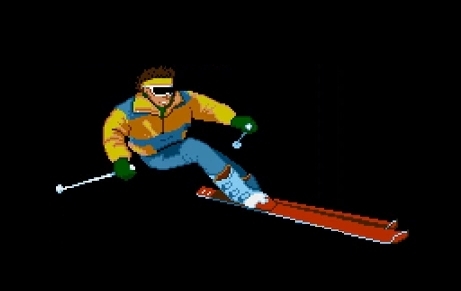 I know that skier looked familiar, would only have got it from the second screenie though. Apparently there's a modern update / remake in the works... could be very interesting. 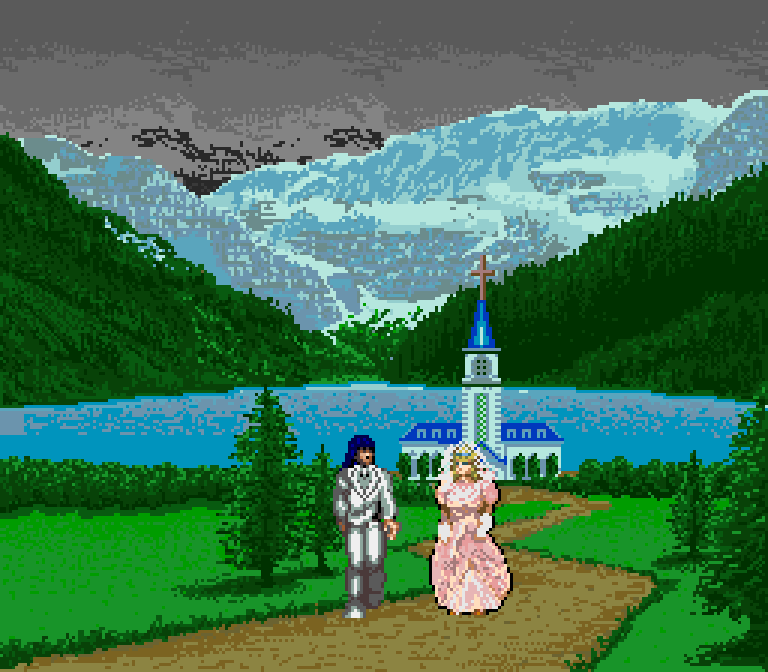 Marriage Quest III: The Depths of Hell? Hint: It's not an adventure game. 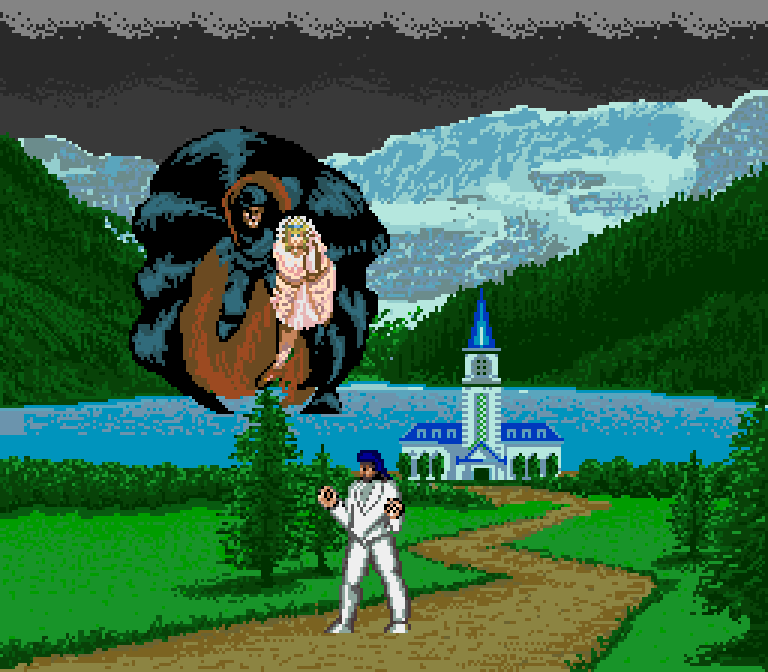 One of the Akumajou games? Maybe the X68k or the Arcade version?